California Grape Juice - Gino Pinto Inc.
We offer the following juice varieties from California in 6-gallon pails to our home winemakers. Chablis wines labeled as such from California has come to mean a generic white wine blend usually with the main grape being Chardonnay. Chablis is a growing region inside the Burgundy growing region of France and a true Chablis wine is a Chardonnay which MUST come from Chablis, France. There is no Chablis grape. Wines made from French Colombard are typically slightly floral and fruity combined with good acidity. 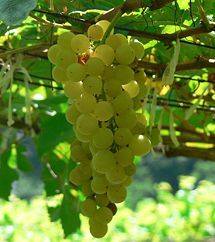 Due to the grape’s natural acidic character it is used for blending and for white “jug wine” blends. 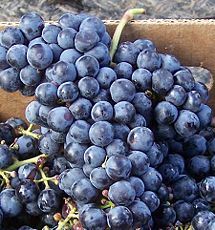 This grape is mainly grown in California in North America and can be made into fruity wines in both dry and sweet versions. French Colombard accounts for about 40% of all the white wine produced in California in any given year. 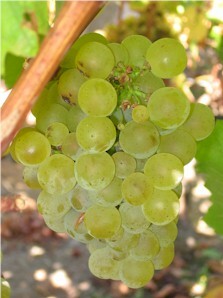 Gewurztraminer is an aromatic white wine grape that is high in natural sugar. Wines are usually made off-dry and can have the aroma of lychee nut. When dry Gewurztraminers may also have aromas of roses, passion fruit and floral notes. Its aromatic flavours make Gewurztraminer one of the few wine that goes well with Asian cuisine as well as smoked salmon. 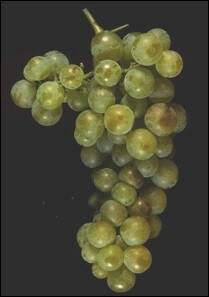 Gewurztraminer grapes have a dark pink color and results in wines colored from light to dark golden yellow with a copper tone. Riesling is an aromatic grape variety displaying flowery, almost perfumed, aromas as well as high acidity. It is used to make dry, semi-sweet, sweet and sparkling white wines. Riesling wines are seldom put in oak barrels. Riesling is a versatile wine for pairing with food, because of its balance of sugar and acidity. It can be paired with white fish or pork, and is one of the few wines that can stand up to Thai and Chinese cuisine. 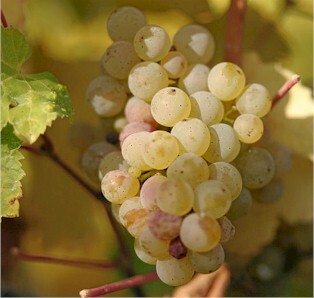 A Riesling’s typical aromas are of flowers, tropical fruits, and mineral stone. 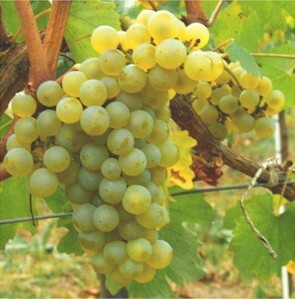 Riesling originated in the Rhine region of Germany. 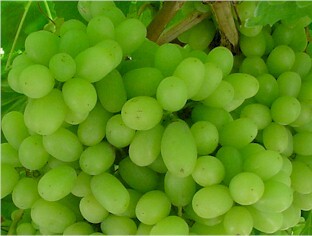 Thompson Seedless or the Sultana grape variety is the most planted grape in California. 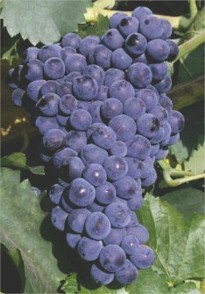 Most of the crop is used for table or dried grapes, with some of it used in jug wines made by bulk producers. Thompson Seedless has an indistinct , neutral quality which makes it perfect for blending because it is able to fortify wines without compromising the character of varietal grapes. White Zinfandel is made from the Zinfandel wine grape. White Zinfandel is an off-dry to sweet, pink-colored, rose wine. The color is created by limiting the contact of the grape juice with the skins after it is crushed and destemmed. 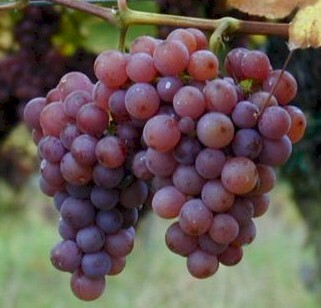 Palomino grapes are usually low in sugar and acid and is a good blender for other varieties that have high sugar and acid content. Palomino is best known for it’s use in the manufacture of Sherry. White Merlot is made in the same way as White Zinfandel, except it is made from the Merlot grape. White Merlot is a “blush” wine as is White Zinfandel. 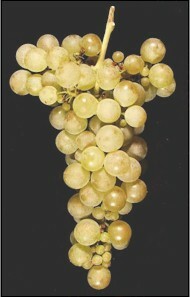 White Merlot derives its color by leaving the grape juice in contact with the red skins of the grape for a short period of time, usually hours or days. A deep red wine has the juices in contact with the skins for weeks. The Alicante Bouschet grape has red flesh and makes a deep colored red wine which is great for blending with lighter colored grapes. 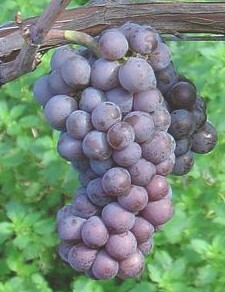 The grape has a thick skin and was planted extensively in California during prohibition for distribution to the East Coast. This grape is originally from France and is a cross between Grenache and Petit Bouschet. Barbera wines when young can offer aromas of black berries, raspberries, with notes of black cherries. Barbera is a food friendly wine with deep color, lower tannins, and higher acids than most wines. Barbera wine goes well with a crusty Italian bread, a salad, and a hearty pasta. Burgundy is the name of one of the most important wine regions in France. There is no Burgundy grape. Most wine produced in the Burgundy region of France is either red wine made from Pinot Noir or white wine made from Chardonnay. California Burgundy is a “jug” wine made from a blend of red grapes. 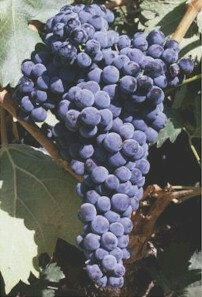 Grenache is one of the most widely planted grapes in the world including the Central Valley in California. 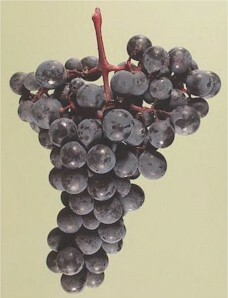 The grape is generally blended with other varieties such as Syrah, Carignane, and Mourvedre since it tends to be low in acid, tannin, and color. 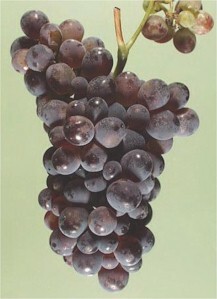 The grape has a relatively high alcohol content. Châteauneuf-du-Pape is typically 80% Grenache and is also used to make rosé wines in France and Spain. 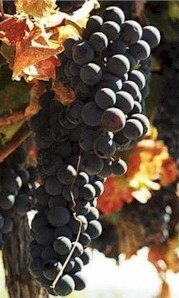 Petite Syrah is planted extensively in California and was originally from the Rhone Valley in France. 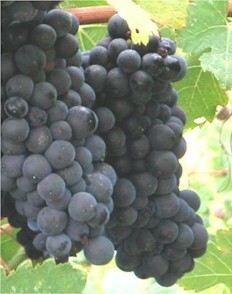 The grapes grow in very tight bunches and can produce tannic wines with a spicy, plummy flavor. 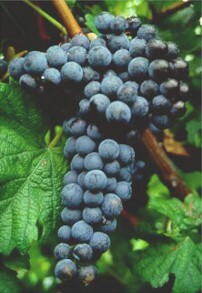 Petite Syrah is an important blending grape because of it’s deep color and fairly intense tannins. Petite Syrah when blended with Zinfandel adds body and complexity to Zinfandel. 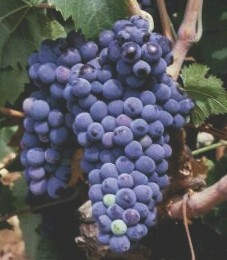 The Ruby Cabernet grape is a cross between Cabernet Sauvignon and Carignane and is valued for its drought resistance. 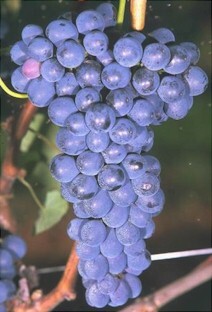 Wines produced form this grape generally have good color with hints of cherry. Ruby Cabernet is also used for blending. Zinfandel as produced in California is known for its high alcohol content, intense fruitiness, and lush texture. 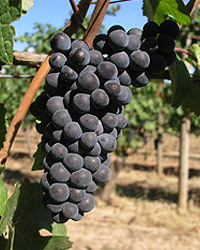 Zinfandel grapes are used to produce a wide range of wine styles including: light bodied reds, full bodied reds, ports, late harvest dessert wines, and sweet White Zinfandels. 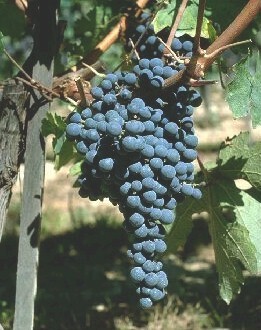 In Europe, Zinfandel is known as Primitivo. The most common aroma and flavor descriptors used with Zinfandel are raspberry, blackberry, boysenberry, cranberry, and black cherry. Zinfandel pairs well with grilled meat.